Streamline and supercharge your business. Reduce your operational costs and automate your mundane administration tasks with customised software. A web application will free up your staff to be more productive and reduce costly errors in your crucial processes. Web application development can help you manage your business more effectively. Easy to use systems and error-free processes provide your clients with another reason to deal with you. With web apps getting more affordable, generate additional revenue with effective application solutions. You can depend on us for all your application development needs. Are you struggling to keep track of what’s happening in your business? We build applications that allow you to manage your business processes so that everyone knows where a task is up to and you have a permanent history of what went on. Stand out from your competitors and make it easy for clients to interact with you by automating your business interactions with them. Allow clients to access and pay invoices, manage support, finance inquiries and view or order more products and services all with the click of a button. Talk to our web application developers to know more! Software is fast becoming something experienced only online; that is without installation. Clients expect accessibility on any device and monthly subscriptions rather than large up front costs. What can you offer your clients? Web apps are becoming an integral part of managing any business and advances in technology are making them accessible and affordable. Empower your staff with less administration and more engaging tasks and retain your most talented employees. Access your business data from any device with an internet connection. Take advantage of the web to streamline your operations and develop your business. Make your business more efficient and generate greater profit by automating the administration activities and reducing the amount of time people spend looking up and passing on information. Still using a spread sheet to manage your business? Are you running your business based on out of date or incorrect information? Get live accurate information on what is happening within your business and use the information to achieve better results. If off the shelf software or manual systems are currently not working for you, Complete Cloud can create an application designed to suit the growing needs of your business. Our web application developers take time to understand your business and create customised applications. Web application developments are available on any device with an internet connection and a browser. Access your business data on any PC, tablet or smart phone with no more software installation or updates required ever again. We ensure the success of our applications by following a tried and true method. We work alongside you and provide you with plenty of opportunity for input at every stage of the process. We first seek to understand your business and how you operate. We will help you refine your ideas into an application designed for your business. You can view and test your solution with a working prototype to ensure it will work for your business before we start building it. Once your application development solution is complete we put a plan in place to deploy it to your business to ensure it is adopted by your team. You will be in complete control of your application with easy administration. 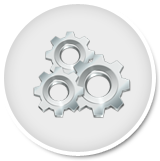 You will be able to tweak and update key areas of your system and our friendly team is always available for maintenance or support. Many applications are often built to solve a specific need. We take a holistic approach with your business and use our experience to build an application that can improve not only your business but also your ROI. At Complete Cloud we don’t just build web applications, we help you shape and streamline your business processes and the way it operates. We strive hard to help you build a stronger and more resilient business. 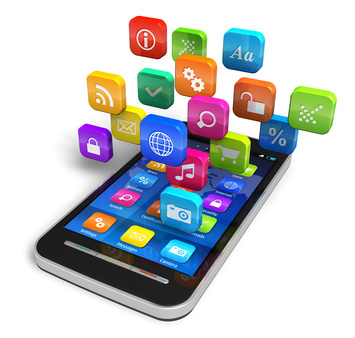 Great apps will not only improve your business but will also improve your bottom line. We achieve this by working with you from the outset to understand the drivers of your business. 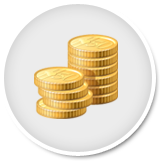 Our team use the latest development methods to reduce cost and the development cycle. We have in depth knowledge of business process management, billing and finance management and issue tracking solutions. Every time you log into a web app, we make sure that you are accessing the latest version. No more software updating or hardware maintenance. Our web apps are scalable and will grow with your business.